Genealogy is the study of pedigrees. DNA is an essential ingredient of it, though it can’t be used for genealogical analysis without taking into account of the conventional basis of family history, i.e. oral and documental history. With the accessibility of these customary resources, in addition to the DNA genealogy testing, one can disclose the deep-rooted relations and can solve many legends. Scientists and family historians have developed several types of tests centred on DNA Genealogy and depending upon the aim of the research a suitable test is selected. 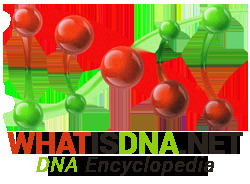 The two major tests for DNA genealogy analysis are based on Y-chromosome and the mitochondria. Y-chromosomes get transferred from father to his sons, from them to his male grandchildren, etc. In mitochondrial DNA, female transfer her DNA to all of her children but then only her daughter will pass that DNA to the next generation. In Y-chromosomes DNA, determining the haplogroup and haplotype of the tested are key measurements. In this test, specific sections of Y-chromosomes are scrutinized for certain chemical indicators. Haplogroup indicator doesn’t vary in due course, but the other indicator varies regularly. These two indicators establish the genetical mark of a person. With the advancement of DNA genealogy knowledge, many relationship tests have emerged. They are basically done for finding out facts related to paternity, maternity, forensic, grand parentage, siblingship, and twin pregnancy. These are helpful in social security, legal, and immigration cases. Paternity is done to verify the true father of a child, and similarly, the maternity test is performed to know the natural mother. Likewise, the parentage test establishes the family of a person when the true father is not available and grandparents test to disclose the genetic lineage. To examine and evaluate the oblique relations like aunts, uncles, cousins, etc. Genetic reconstruction is done to authenticate a true father if the natural mother is available for the test. On the contrary, the expensive sibling test can be conducted without a natural mother to find out whether the persons involved have the same parents. If there are any health concerns in the twins’ pregnancy, then twin zygosity test is performed to know whether the twins are fraternal or identical. A forensic test is commonly used in criminal cases. DNA genealogy also assists in identifying the surnames, their growth, and practice. Surname study discloses the irregularities between the present and chronological surnames. It also establishes the existence of any relationship or non-relationship among different people.